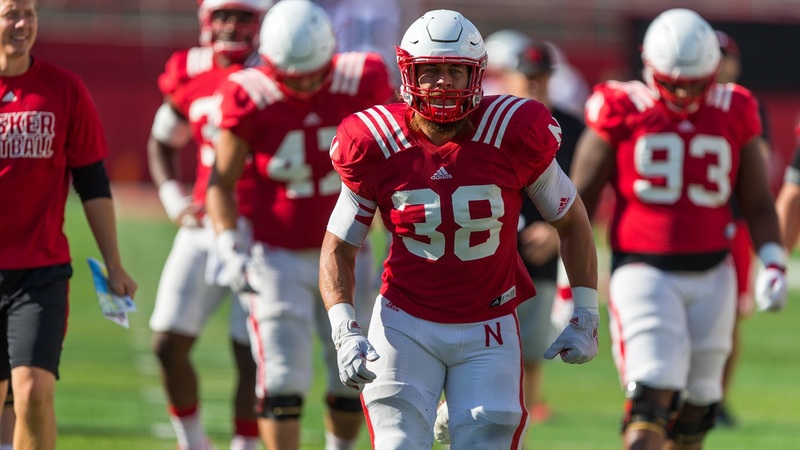 Nebraska football made its 110-man fall camp roster available to the media at Wednesday's practice. You can find the full list below as well as some quick reactions to the list. True freshman Dominick Watt is not on the roster. Scott Frost said last week that he was optimistic Watt would academically qualify and make it to campus for camp, but it apparently hasn't happened yet. I suspect will get more information on that today following post-practice availability. Mitchell Balenger, who joined the program as a walk-on from Fork Union Military Academy in July, made the cut on the offensive line. Trent Hixson, a redshirt freshman walk-on from Omaha is also on the list as is true freshman AJ Forges. Bit of a surprise to see Nebraska use up two spots on long snappers, particularly when you consider that Damian Jackson did some work there in the spring. Jackson is among the defensive linemen in camp. Safeties galore. Nebraska has 11 in camp, including listing true freshman Cam Jones and CJ Smith at the position as expected. Talented walk-on Moses Bryant, a star running back at Elkhorn South, is listed with the cornerbacks.